Aussies love their sport. Luckily, we can still expect some awesome sporting events to hit our shores in autumn and winter – especially in Sydney and surrounds. If you’re visiting from interstate, you can pick up a cheap car hire deal from Sydney Airport with DriveNow. Then you’ll be able to hit the road for one of these popular NSW sporting events. Luckily, you won’t have to travel far for the Harlem Globetrotters World Tour. A night of endless entertainment is coming right to Sydney! The team is known for their amazing performance and humour on the basketball court. 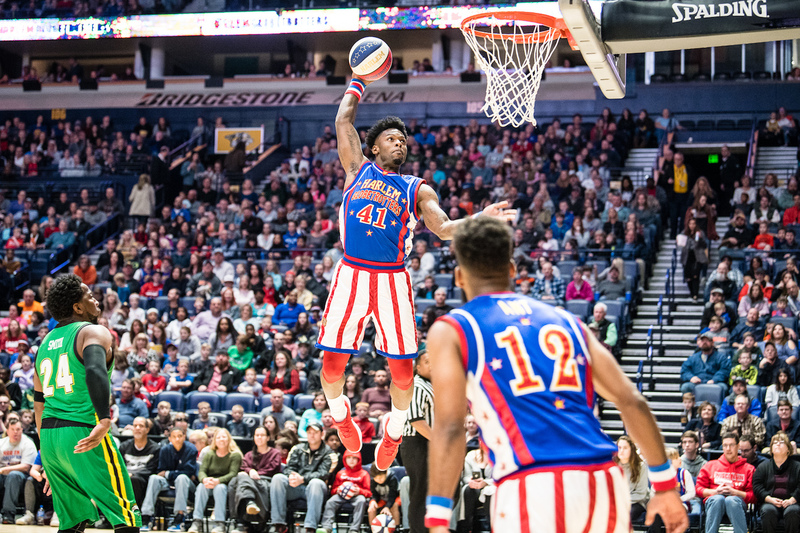 The Harlem Globetrotters combine athleticism, theatre and comedy in their style of play. They have played more than 26,000 exhibition games for fans in more than 100 countries across the world. It’s possible to meet, take photos with and play alongside your favourite players. You just need to secure a spot at Magic Pass, which is an exclusive pre-game event. Get involved with one of horse racing’s most exciting and traditional events. Celebrate fashion, entertainment and racing with friends as Sydney’s autumn racing calendar launches at Royal Randwick. Welcome to The Championships, which is the grand finals of Australian horse racing. The fiercest jockeys and horses compete for more than AUD20 million prize money across two consecutive Saturdays. Stephens Marine Park make for a stunning backdrop. There’s sailing opportunities for all classes of boats. Aussie rules football takes over our stadiums and screens right through until September. Luckily, Sydney is one of the capital cities that enjoys a great share of footy games during the football season. Watch the intense games unfold with a roaring crowd at world-class venues like Sydney Cricket Ground and the Sydney Showground Stadium. This year you’ll be able to watch Sydney’s home team the Sydney Swans take on teams like Collingwood, Essendon and the Brisbane Lions. Check out the AFL website for fixtures. Organisers of the charity Bright Night Run say this year’s run will be bigger and brighter than ever! Drive four hours north of Sydney to Port Macquarie for a night of funky and loud entertainment. Before the IRONMAN stage kicks off, there’s a Zumba warm up with dance music. The important thing is that you join in and give it ago… and wear something bright and colourful while you’re at it. You may even win a prize for the best (or worst) dressed!